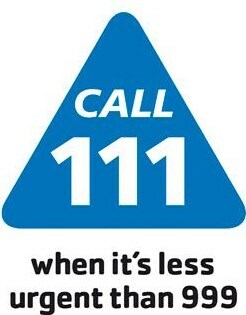 If you require urgent medical attention or advice outside of surgery hours please call NHS111. Calls are free from both landlines and mobile phones. If you aren't sure if your problem is an emergency, or you want to find out what options are available to you, try our Econsult service. The service offers information about a range of problems and conditions, gives you the options available to you, will send information to us electronically if your problem is not a medical emergency, and we will contact you when we reopen. It also saves having to wait in the phone line queue!